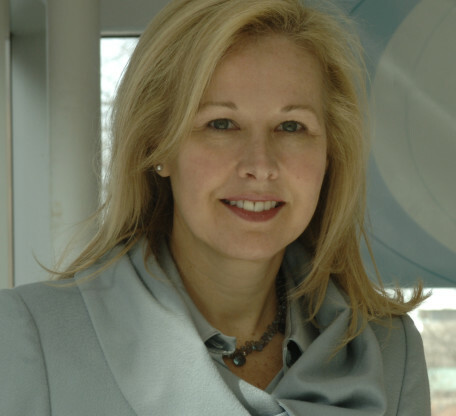 A highly respected researcher and scientist in the field of low vision, Dr. Janet Szlyk assumed leadership of The Lighthouse in 2008, becoming the second woman in the organization’s 110-­year history to hold the top position. She is responsible for taking The Lighthouse to new heights with the establishment of a customer service enterprise, which provides employment opportunities for more than 400 individuals who are blind, visually impaired, disabled and Veterans. There are presently a total of 1,000 employees of the Lighthouse. The social service enterprise provides the financial support for the 40 programs and services in the areas of rehabilitation, education and employment. In addition to building the customer service enterprise, Dr. Szlyk is credited for establishing The Sandy & Rick Forsythe Center for Comprehensive Vision Care, the Sandy Forsythe Assistive Technology Center, The Pangere Center for Inherited Retinal Diseases, The Beatrice Cummings Mayer Senior Center, the Judy and Ray McCaskey Preschool and The Chicago Lighthouse North serving the Northern Suburbs. Before joining The Lighthouse, Dr. Szlyk served as Professor and Director of the Low Vision Research Laboratory in the Department of Ophthalmology and Visual Sciences at the University of Illinois at Chicago, as well as serving as a Professor in the Psychology and Bioengineering Departments. During that time, she was also a Research Career Scientist within the U.S. Veterans Affairs Rehabilitation Research & Development Service. She currently maintains an Adjunct Professor appointment of Ophthalmology and Visual Sciences at UIC. Her laboratory has moved to The Chicago Lighthouse, however, her research is still focused on developing rehabilitation methods to allow patients to optimize their remaining vision. She also serves as a consultant on the Food and Drug Administration’s Ophthalmic Devices and Gene Therapy panels, and reviews grants for the U.S. Department of Veterans Affairs and the National Science Foundation. She has more than 100 publications in the field of low vision covering topics as broad as defining the vision requirements necessary to perform everyday tasks, subtyping inherited retinal disease with psychophysical methods, to functional brain imaging in patients with age-related macular degeneration. Dr. Szlyk earned a Bachelor of Arts at Brown University, a doctorate at Fordham University, and completed post-doctoral training at The New York Lighthouse and the University of Illinois at Chicago.